Kidding! I'm not practicing for anything in particular. 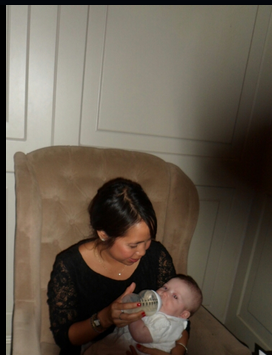 We had our niece's Christening this weekend, and here she is drinking up at her after party.